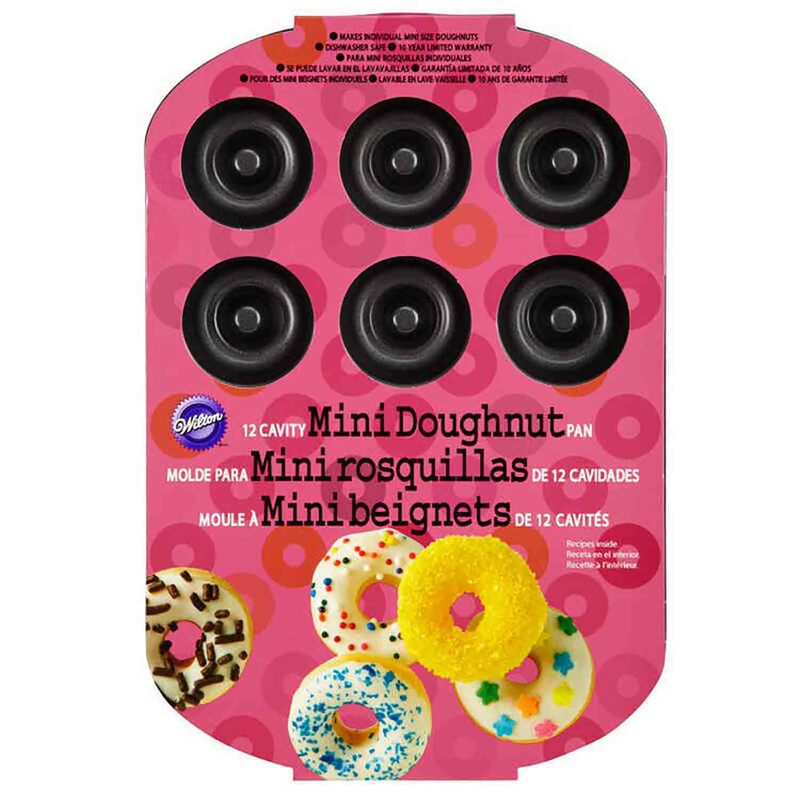 Brand: Wilton 2105-0614 Units: 1 Dimensions: 7¼" wide x 10½" long x ¾" deep This non-stick dishwasher safe pan will make 12 individual size doughnuts. Doughnut cavities measure 1 3/4" in diameter. This non-stick dishwasher safe pan will make 12 individual size doughnuts. Doughnut cavities measure 1 3/4" in diameter.